Oxfam recent scandal shocks the public opinion and it is completely legitimate but let’s take a step back! Amongst the humanitarian community, how many of us have witnessed or heard rumors of a colleague bringing prostitutes to the organizations’Organization’s guesthouse? How many of us have witnessed or heard rumors about sexual abuse or sexual harassment? Though most of us of course denounce it, can we still pretend we are surprised about this kind of behaviour? During my ten years’ experiences as an HR professional in the humanitarian sector, I have witnessed colleagues bringing prostitutes to the guesthouse, even once a colleague asked me « as a joke » if I could find girls for him! … I also have been myself victim of sexual harassment and was lucky enough that my Country Director took it very seriously, listened to me and took the appropriate actions.). Most NGOs have implemented codes of conduct, charters of values, abuse of power and harassment prevention policies and are making efforts on accountability and transparency but they can’t control the behavior of all their staff and it is still happening. Maybe because of a lack of training and awareness? Because of a lack of appropriate sanction? Because of a lack of protection of employees who denounce such practices within their organization? Prostitution is sometimes a grey area, not clearly forbidden by some NGOs but only « discouraged », it becomes complicated for those NGOs to dismiss an employee for gross misconduct on the basis of actions perpetrated during his/her private time. Proof is always critical. But here the issue is not only the behavior of some humanitarian workers. This case questions what NGOs do in terms of prevention and management of sexual abuse cases but also the lack of transparency between NGOs. Most NGOs check references before recruiting a new employee but this case points the limit of internal practices and the limits of labours laws in most countries, where reference checks are only possible with the authorization of the employee which makes it not as efficient as it should be. Finding the right balance between confidentiality and transparency is a complex matter but we can’t accept that a humanitarian worker dismissed for gross misconduct in 2004 in Liberia by Merlin, then pushed to resign in 2011 in Haïti by Oxfam, is then re-hired by Action contre la Faim. 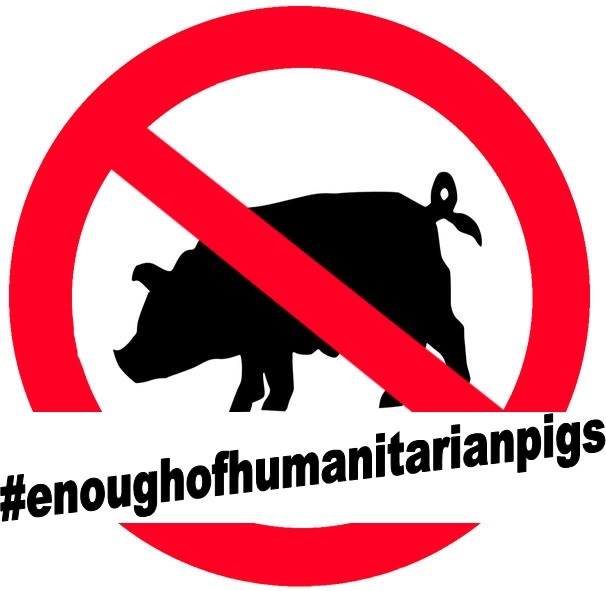 At Humanitalents, we think it is not the time to point fingers towards Oxfam or any other NGOs, because we know those things can happen anywhere else and of course not towards all humanitarian workers (most of them being committed and respectful professionals). Instead, we think this is the opportunity for the sector as a whole to reflect: for each of us as individuals to question our own behavior and responsibility in our organisations’ image? And for NGOs leaders and HR Directors to gather and discuss in order to find common and long term solutions. This one single organization’ issue but the one of the whole sector and it should be addressed by all of us. Not to be forgotten that what is happening today is reinforcing mistrust towards NGO’s mandate when so many others humanitarian workers, with their passion and commitment, are humbly and simply doing their job! As you expect your workers to be away from their families in a lot of the cases for moths end, I find your comments very judgemental and insensitive to other cultures. You are imposing your own morality and culture onto colleagues who do not feel the same as you. Dont get me wrong, I do not agree with prostitution, but in some cultures, even European cultures it is totally acceptable even when married. What an employee does on their own time is their business unless you are willing to employ them on 24/7/365 contracts or allow all aid workers to bring their families with them on assignment. I reply to you because I don’t have the same image of the humanitarian worker than you, neither of the cultural side of the prostitution. To my opinion it is the choice of the worker to work in humanitarian field, far from his family. He knows when signing his contract (at least with the NGOs I know) that he will represent the NGO 24hours a day, 7days a week and that he will not be totally free of his behavior as long as he is on the field, because he is bonded by a contract saying that he has to do nothing which can put at risk the NGO image. Therefore for me it is not really a matter of “personal” culture but of the organization culture. Then, the debate of prostitution linked to the culture is in my mind part of a more global debate on the positioning of men vs women in our societies. Many situations/relationships are based on power, not only between a man and a woman (I need you because you have money and I don’t – for many reasons: because I’m a woman and I’m not allowed to “work” or because there is a crisis in my country or because … – ; I need you because you easily make friends and I don’t; I need you because you are accepted in the society and I think I’m not; …..). I can’t see many relationships where the 2 persons are deeply equal, which is surely almost normal because we are not Bouddhas. But we could try to tend to equality in relations. I think accepting that prostitution can be cultural (and it’s true that it is not perceived (detected? not sure of the word) on the same way in different cultures) can lead to not being attentive to the real forces at stake in any relation. Well, I find a bit difficult to discuss the topic in English and by written, but interesting. Have a good day. I hope your answer was for provocation, Jaime!